Kumihimo is a Japanese braiding technique in which a braiding stool (marudai) is used to support the bobbins used to hold the working threads. Many bobbins can be used, to create very complex braids. 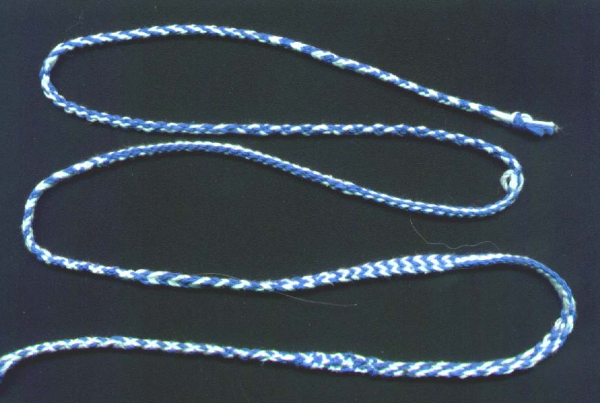 This braid is blue silk and metallic embroidery thread, eight bobbins with many strands per bobbin. This is a sampler of all the 8-bobbin braids from Roderick Owen's book. See the All Fiber Lists page for more information.